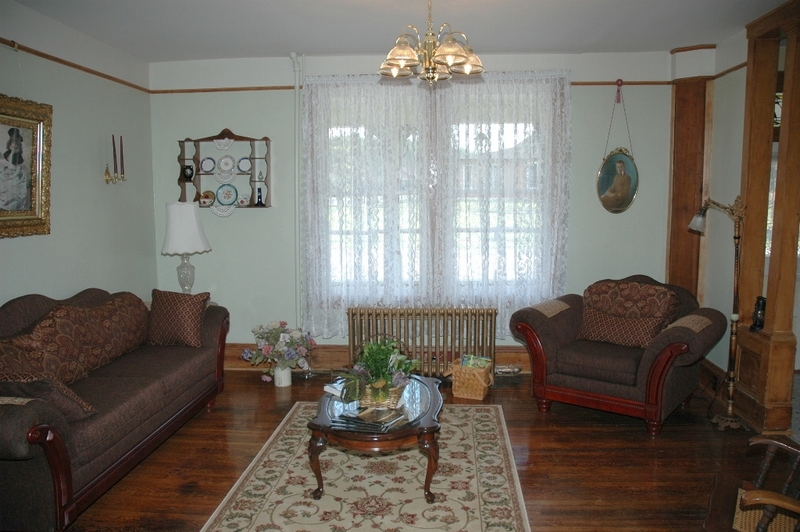 Our comfortable living room provides a peaceful area to relax or visit with other guests. 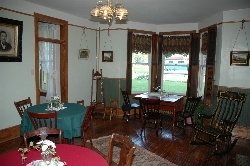 These views show the dining area where guests may enjoy breakfast at private tables, one with a bay window view of the EBTRR. 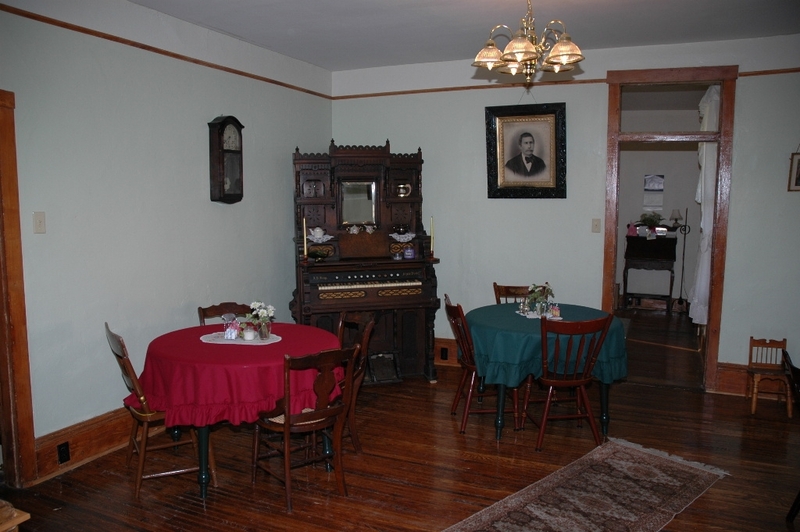 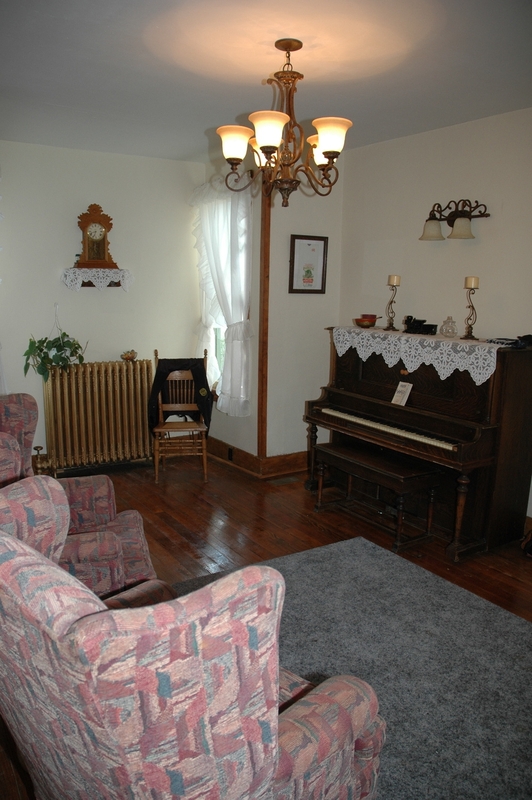 The parlor organ in the living room was built in 1885 in Lebanon, PA. 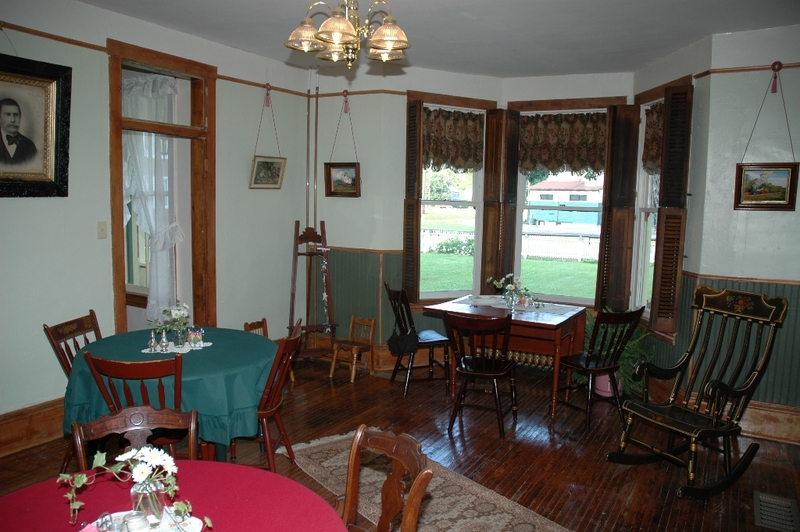 The small sitting room features several comfortable chairs where small groups may gather. 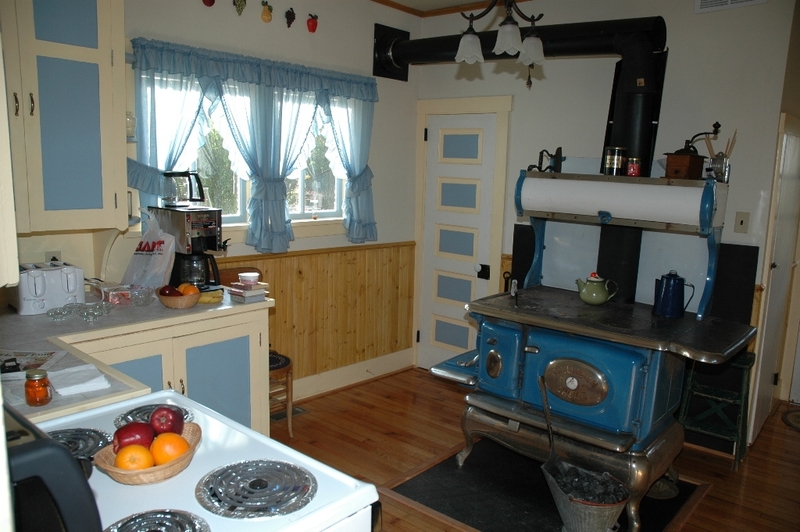 Our bright and cheerful kitchen features original cabinets and sink along with our 1906 cook stove. This stove is used during cool months and guests will enjoy the tastes & smells of the many baked goods that come out of that oven. 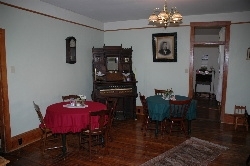 Modern appliances complete the kitchen.